Mission & Philosophy — SAFA! Our mission is to provide a rigorous - and fun - alternative to traditional school-based music programs for those that need it most. This includes public schools, social service and special needs groups, after school programs, as well as private instruction for individual students of all learning styles. Our curriculum combines “the fundamentals” - for example, music theory, ear training, and keyboard skills - with the creative innovations coming from the DJ and electronic music scene. SAFA! will bridge the gap between the popularity of electronic music and more traditional music pedagogy. We know from our own experience that it is possible to learn the theory and counterpoint of Bach from pop music, the rhythmic dictation and arrangement of jazz from an instrumental hip-hop record, or modernist classical and improvisatory performance technique from trance and ambient music – and to build the foundation for professional digital music studies in the process. It requires the right facilities, faculty, and curriculum to create this knowledge together, in a safe, hands-on learning environment. 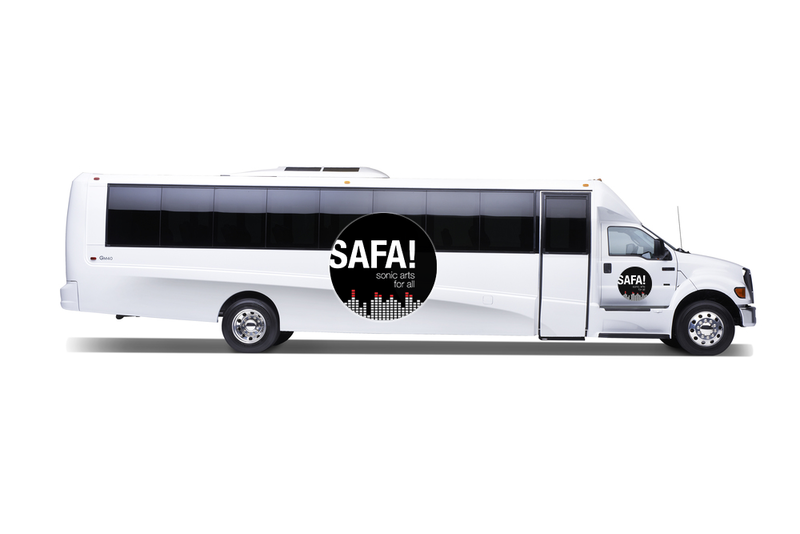 SAFA!’s mission is to show kids of all backgrounds that there is a place for them, in person and close-by, where they can deepen their understanding and passion for the music that inspires them, and do it in a fully outfitted music technology workshop on wheels! Phase Two of SAFA! will take place on a custom-tuned, studio stocked shuttle bus. SAFA! will work in partnership with community centers, arts and education institutions, and other non-profit organizations throughout the five boroughs to bring the message of music technology accessibility to the local community. SAFA! will provide a mobile music sanctuary for a new generation of artists. Founder and Director, Sonic Arts for All! SAFA! courses and workshops are an alternative or supplement to traditional K-12 and special needs music education. While we are not against traditional methods, our mission is to provide students a situation where concepts don’t have to come first. Immediacy and autonomy are important for growing and sustaining passion. Rather than learning to read music before you can make music, technology allows us to interact directly with sounds. Therefore, the heart of our program is hands on, open ended projects, where students develop a portfolio of their own pieces. In completing composition projects, students are allowed to follow whatever thread they find most exciting: maybe a pulsing beat, or an otherworldly soundscape. Finally, we would like to note that music technology for kids is not merely a fun activity, even though it is fun. Commercial engineers and producers, composers and sound artists, DJs and classical performers, educators and academics - technology skills are essential for any career as a professional musician, and are therefore a good starting point for a young student’s musical career.